Lauren is released her new single “SAY IT” on May 7, 2018, accompanied by a feature music video. “SAY IT” is a mid-tempo, fun summer song that should fill the airwaves from Halifax to Victoria. She started a tour of Western Canada on April 20 in BC, finishing in Saskatchewan on May 6. This will be followed by a busy summer festival season with continued songwriting in Nashville and across Canada for the remainder of 2018. More tour dates for Eastern Canada will be announced soon. Details are available at laurenmayell.com. 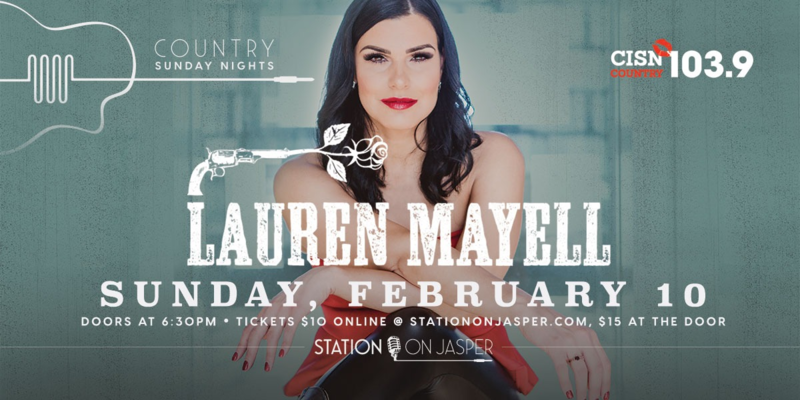 Lauren’s 2017 included a nomination for ACMA Female Artist of The Year and Album of the year; winning Country 105's Rising Star in Calgary in 2017; opening for many award winning Canadian and American artists; and sharing the Country Thunder Music Festival main stage with The Road Hammers, Terri Clark, Randy Houser and Thomas Rhett. Recent Performances have included opening for Brett Kissel, Gord Bamford, The Washboard Union, The Road Hammers, Meghan Patrick, and Kane Brown on his Western Canada tour.